Greetings from the Islander Inn, featuring quality luxury beach side accommodations at reasonable rates. 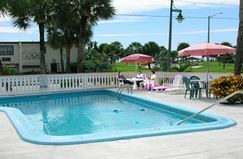 Situated just 300 feet from Vero’s beach on Ocean Drive, the Islander Inn is a refreshingly unique lodging alternative to that which is typically offered along Florida’s Treasure Coast. 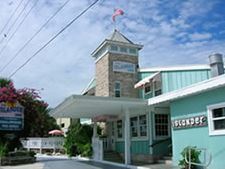 Comprised of only 16 guest suites and efficiencies, the resort is designed for your comfort and convenience. We feature spotless newly remodeled accommodations, all exquisitely decorated highlighting a Caribbean theme. The efficiencies include private enclosed decks, and also have complete kitchens available. All of our rooms are equipped with remote control, color TV, telephones with voice mail, wi-fi access, clock radios, and the standard accommodations also include a snack-size refrigerator and microwave. Our staff offers complimentary coffee every morning.